One of the most well-known rules of soccer is the ability of the goalkeeper to use their hands to block and move the ball, a skill that none of the other players on the pitch are able to use. 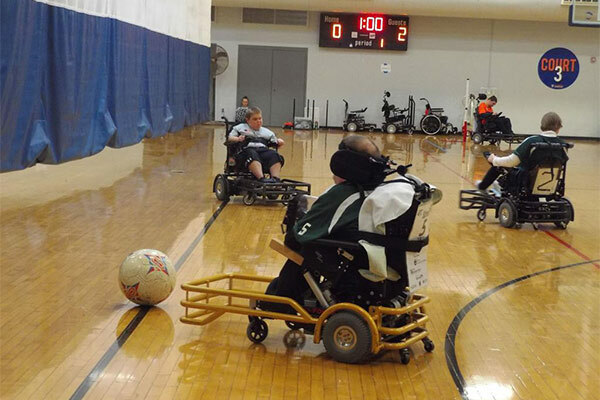 It goes without saying that in power soccer this is not the case, not only would that impose a physical requirement for the sport, but it would be dangerous to do on a court with other power wheelchairs. 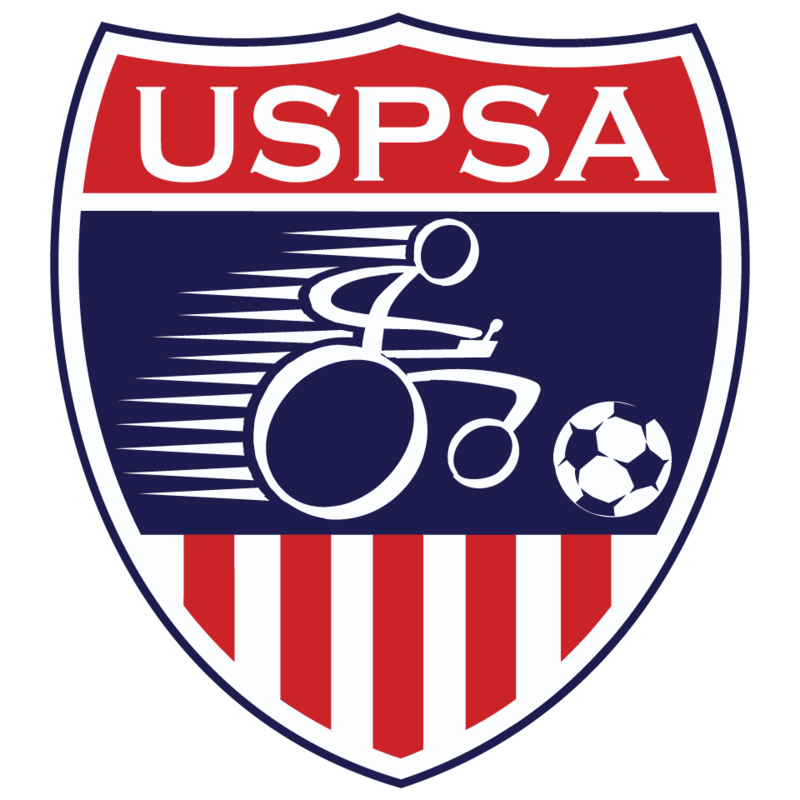 Even though goalkeepers in power soccer don't have this ability, there are other subtler rules that affect goalkeepers in the sport. The greatest ability that a goalkeeper has is the ability to be exempt from the two on one rule while in the goal box. While most of the time players on the same team must be at least 3 m away from each other when one of them has the ball, as long as a goalkeeper stays near their goal area they can avoid being included in that. This allows them to be assisted by another defensive player on their team when the opposing team is close to a scoring position. The two on one exception rule has led in recent years to a new style of defense on kick-ins near the box: often referred to as the wall defense. By putting the goalkeeper in a forward position in the box where the defensive player would usually sit, teams are able to put a third defensive player on the top of the box and cut off more of the area from a goal scoring shot. 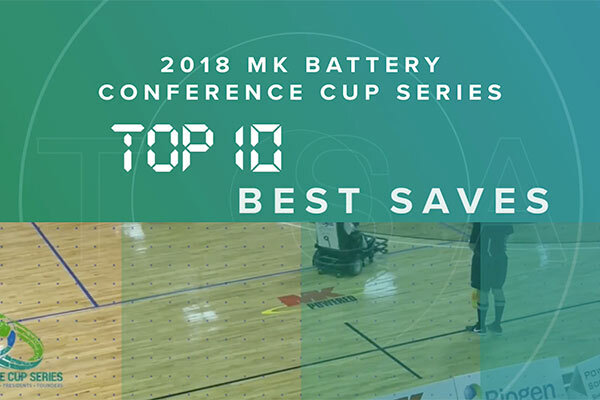 Another commonly used ability that the rules give to a goalkeeper is that they can be within 5 m of a kick-in, something that no other players on the court are able to do. The caveat to this rule however is that the goalkeeper must be behind the goal line for the rule to take effect. This is almost exclusively used when the offensive team has a corner kick, which is typically within 5 m of the goal. Without the goalkeeper having the ability to do this teams would have an unimpeded shot on the front of the goal which would take away the challenge of properly executing a kick-in. Finally, the last rule that affects the goalkeeper is actually a part of the rule previously listed. The key part of the above rule is that the goalkeeper has to be completely behind the goal line to be exempt from spacing rules. While it seems fairly basic, other players on the defensive team typically aren't allowed to go behind their own goal line. If another player were to go behind the goal line and block a shot on goal from going in, they would be committing a foul that calls for a straight red card. So even though another defensive player could go behind the goal line it would be extremely risky and careless. This rule would also most likely come into effect on a corner kick since the goalkeeper is probably already set up behind the goal line and any shot directly on them would be deflected. 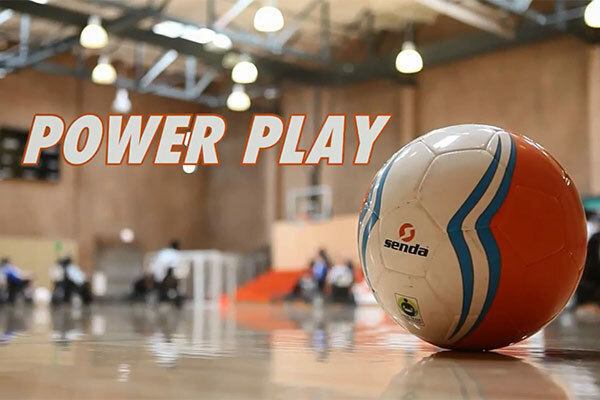 Most of these rules are purely to make sure that scoring a goal isn't too easy for the offensive team in power soccer. However, players and teams can often adapt these rules in creative ways to make it even harder to get past their defense. 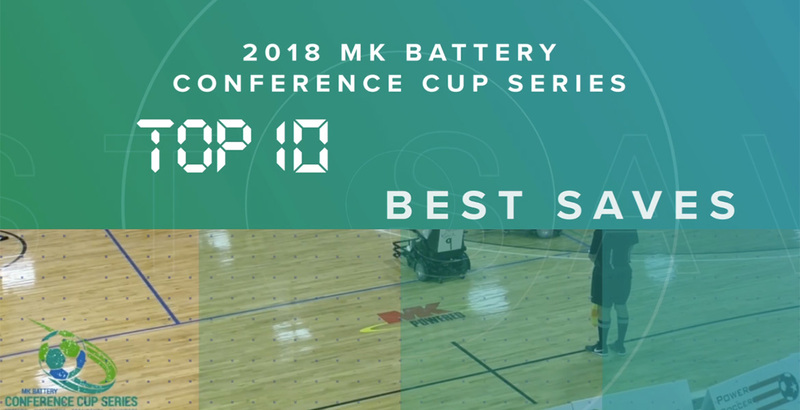 By using these rules teams may be able to set up their goalkeeper so they can stay behind the line and have more time to block a shot or adjust their defense to allow more of their players to have a role in defense. It has become more and more common for teams to give a bigger role to their goalkeeper in order to take full advantage of their abilities. Winter's Coming, but the Heat is Rising in the Northeast!